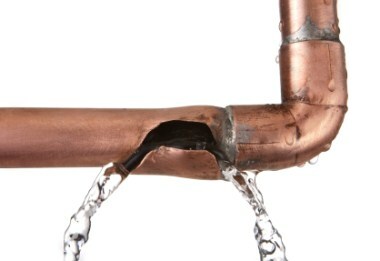 Have you experienced a burst pipe in Cinnaminson Township or a leaking appliance? Your first call should be to your plumber for emergency service. If you have suffered water damage in your home, your second call should be to I Clean Carpet And So Much More LLC to contain the damage and dry out your damaged property. The trusted local carpet cleaning professionals at I Clean Carpet And So Much More LLC are well versed in following safe and expedited dry out services after water breaches a home. Our tried and true restoration methods will quickly remove water and residual moisture, so that you can begin the process of restoring your home to its original condition. Quick action is necessary to prevent further damage. Call Cinnaminson Township's water damage restoration experts ASAP! I Clean Carpet And So Much More LLC provides emergency water extraction in Cinnaminson Township, New Jersey. Our technicians are always on standby with commercial grade, powerful extraction equipment that can tackle any water emergency in Cinnaminson Township. When it comes to fast thorough water damage restoration in Cinnaminson Township New Jersey, no one beats I Clean Carpet And So Much More LLC's water extraction service. Dry out for Cinnaminson Township Carpets and Rugs - If your carpeting has become soaked with water, the pros at I Clean Carpet And So Much More LLC can arrive quickly and perform expert dry out services for Cinnaminson Township residents. I Clean Carpet And So Much More LLC will remove water and moisture and treat carpets and rugs with a disinfectant to kill any fungi or bacteria that may be present. Deodorizing After Water Damage - Carpets and rugs that have been wet for more than a few hours will begin to stink. Bacteria in the carpet multiplies rapidly and produces odors. I Clean Carpet And So Much More LLC will apply a neutralizing agent that will destroy odor causing bacteria, eliminate any pet odors, and leave the carpet smelling pleasantly fresh. All Moisture Removed - Once standing water has been extracted, dampness will persist. We employ large air moving fans that can quickly draw remaining moisture from carpet and tile floors, speeding time to total dryness. When you have experienced damage from water leaking from an appliance, or penetrating your home from the outside, the result is often devastating. You need results and you need them fast. I Clean Carpet And So Much More LLC has provided stellar carpet extraction services in the area for over 10 years, and we can help you too. We specialize in complete water and moisture removal in Cinnaminson Township following a water intrusion.